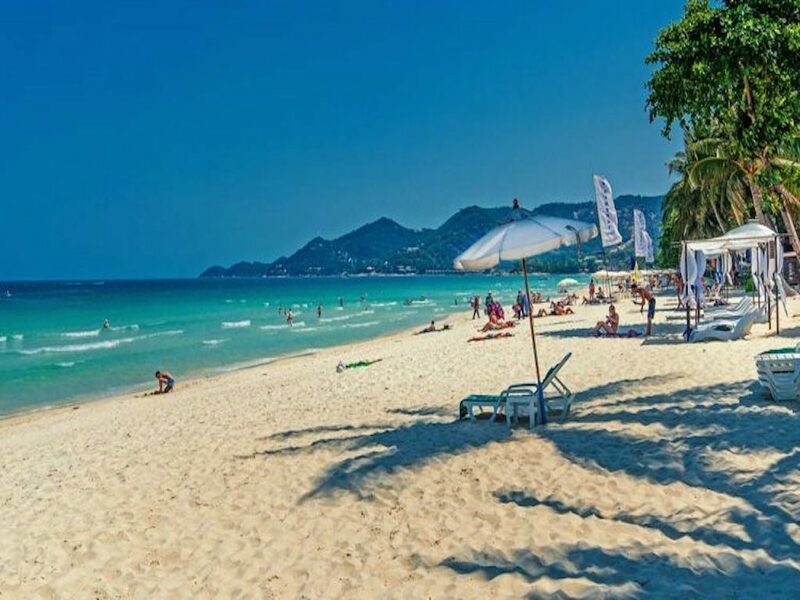 The island of Koh Samui is now one of the most popular tourist destinations in Thailand and over a million visitors from all over the world arrive in the island seeking palm fringed beautiful white sand beaches and crystal clear waters to enjoy a tropical beach holiday. Exploring around the island you will discover over 20 beaches of various sizes and popularity. 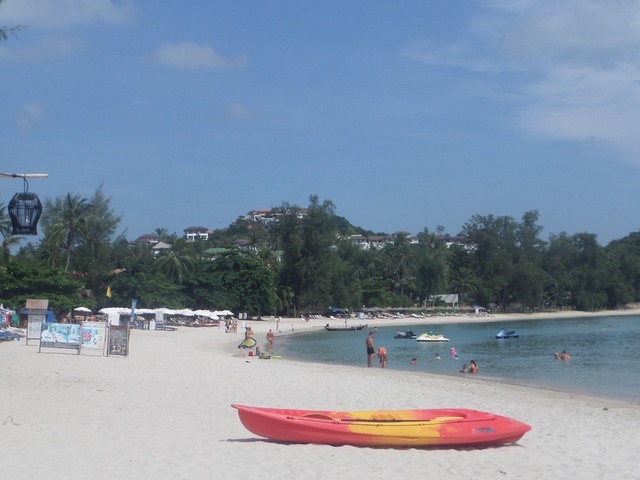 The most famous being the beautiful 5km long Chaweng Beach on the east coast lined with hotels and resorts with the beach road now a busy hub for shopping, retaurants, bars and the ever popular spa/massage/wellness centres. 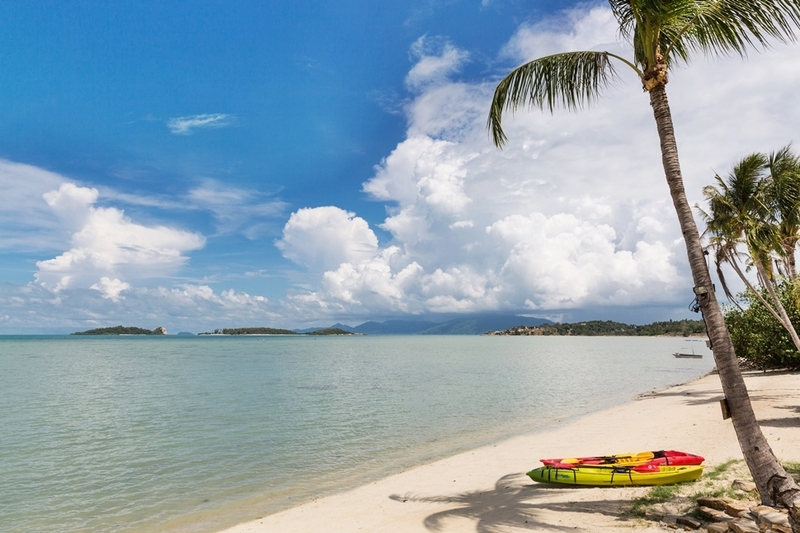 The palm fringed quieter beaches where you can swing on a hammock in peace but just as picturesque are mostly found on the north, west and south coasts of Koh Samui reached by minor roads leading off from the main ring road. Small coves that for many years remained undiscovered are now sought out by those in the know or have heard about by word of mouth. For coastal watersports apart from the small coves many now offer some form of activity on the water. The Stand up Paddle Board (SUP) has recently become more popular as the waters around Koh Samui are calm and ideal for this particular activity and a good way to explore the coastline. With little waves surfing is not possible in Koh Samui. 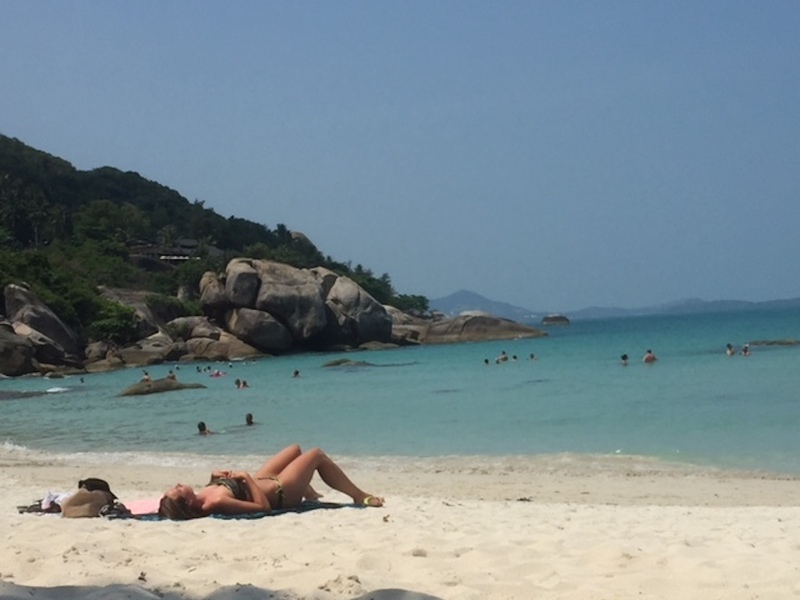 Below we have listed the beaches around Koh Samui's coastline that are close to your holiday villa or maybe to add to your "to do" list and seek out the best Koh Samui beach for you. Bang Po beach continues along from Ban Tai beach on the north coast but is a narrower strip with the road as it's border lined with rustic Thai style restaurants set amongst the palm trees. The beach offers some watersports and there are plenty of eateries some of which provide sun loungers if taking refreshments at the restaurant. The beach is popular with guests staying in the sea view holiday villas above the beach and in the Thai design wooden beach houses in small resorts scattered along the beach. 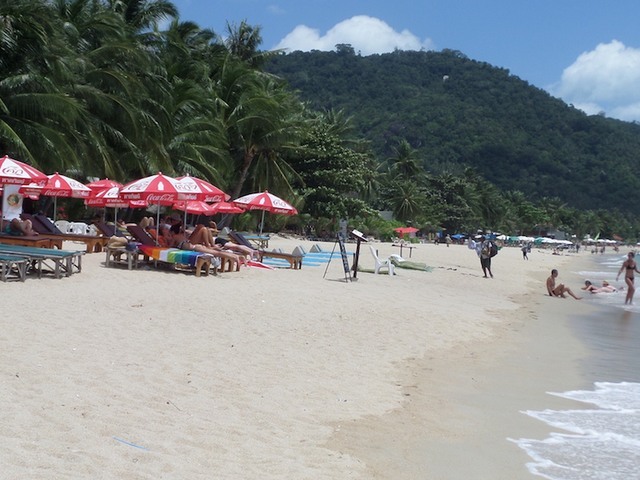 Bophut beach is located between Big Buddha beach and Maenam beach. 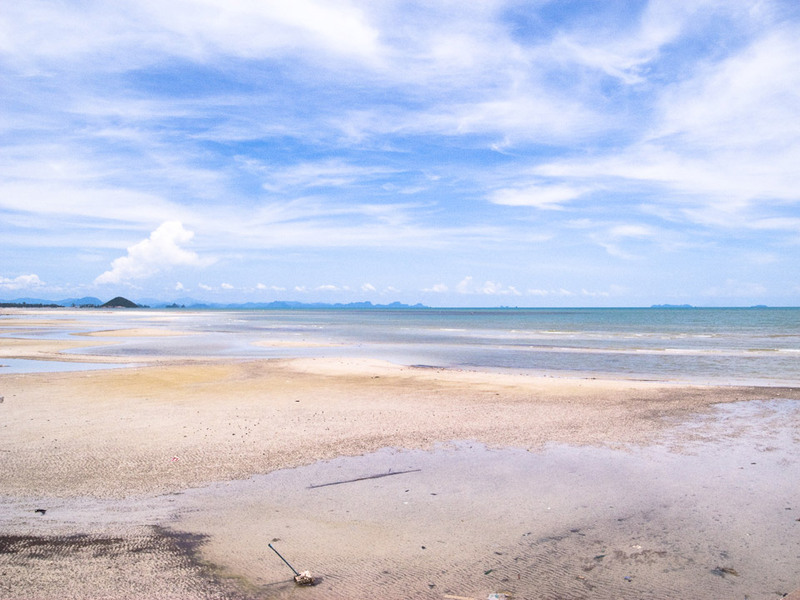 The sand is not quite as white and soft as some of the other Koh Samui beaches. The central area of the bay is best for all year round swimming where it is bordered by some high end hotels and bungalow resorts. Our luxury Bophut beachfront villas are located at the far end of the beach and has a rocky shoreline.The east end is bordered by the oceanside dining, various bars and shops of the FIsherman's Village - a popular tourist spot. A watersports operator occupies the central area of the beach and offers a number of different 'on the water' activities. 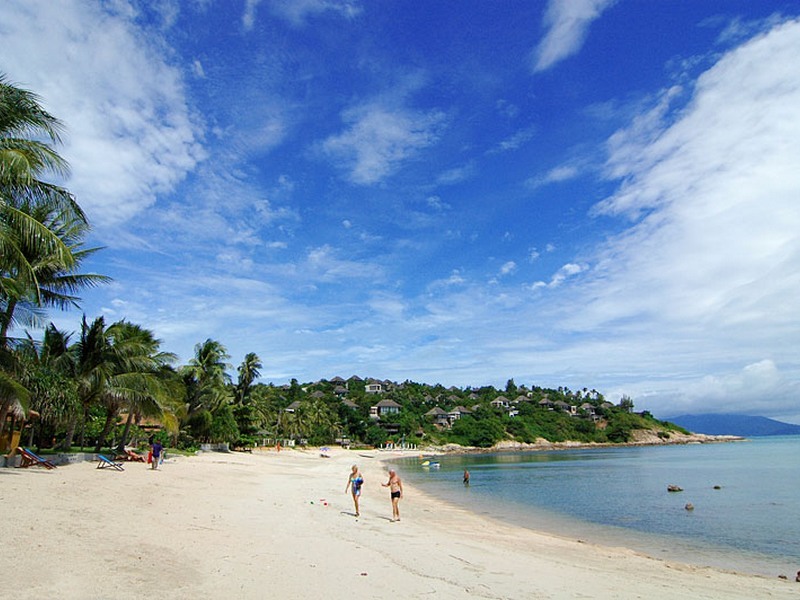 Choeng Mon beach is a beautiful and sandy bay occupying the north east corner of Koh Samui . This sandy swimming beach is perfect with families due to the calm waters and the trees providing plenty of shade at the south end of the beach. 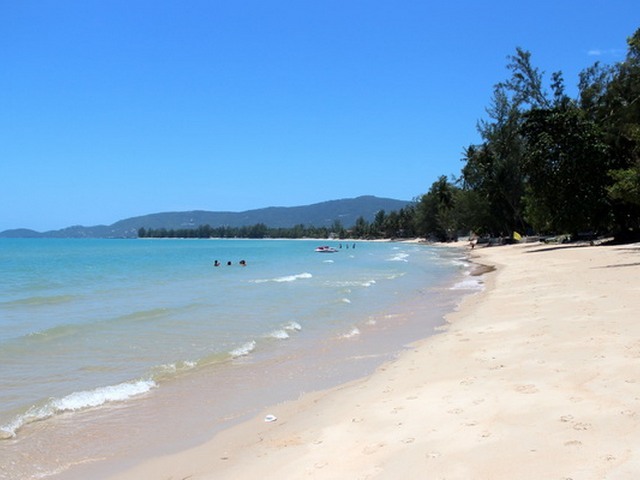 It took a long time for the tourists to discover this picturesque beach which is popular with the locals being that it is off the main ring road around Koh Samui. 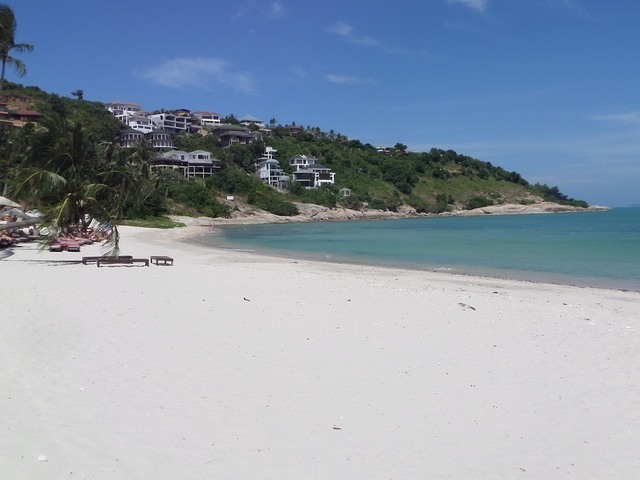 With development and word of mouth however it is now one of the most popular beaches on Koh Samui. There are only a couple of high end hotels on this beach with the beach mostly lined with small restaurants and bungalow resorts that provide sun loungers and parasols for those taking refreshments. Offshore there is a tiny deserted island that you can walk across to at low tide. Coral Cove is a small cove on the south east coast on the main ring road connecting the two main towns of Chaweng and Lamai, This beach can easily be missed if you were in a car driving around the island however if you were on a motorbike the name would tempt you to stop and take a look. 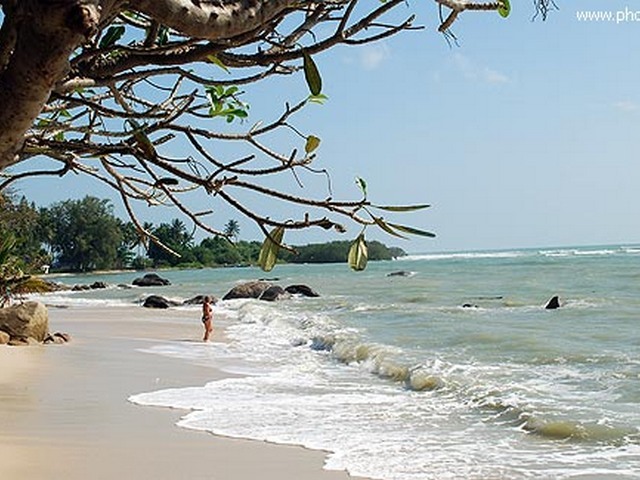 This tranquil beach is accessed down a number of steps from the road through a bungalow resort. This is a private paradise and ideal for those wishing just to chill and take a dip.The small bay features huge boulders with small strips of sand between them some of which just managing to squeeze in 2 sunloungers in between the boulders - perfect for couples. The water is crystal clear and calm. Laem Noi beach is a narrow stretch of sand on the north west coast starting from the rocky headland that separates it from Bang Po beach. Over the last few years there has been recent development of contemporary design beachfront villas where the guests in the holiday villas are really the only ones who enjoy the beach to have a paddle and it is long enough to have a stroll along. It is not a beach that you would seek out to visit as there are no eateries and at times the beach area is quite narrow. 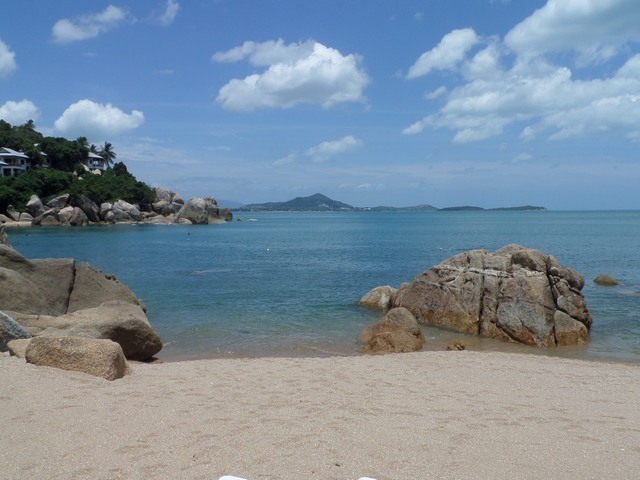 Beyond the rocky headland at the west end is Laem Yai beach which is occupied mostly by the exclusive 4 Seasons Resort. 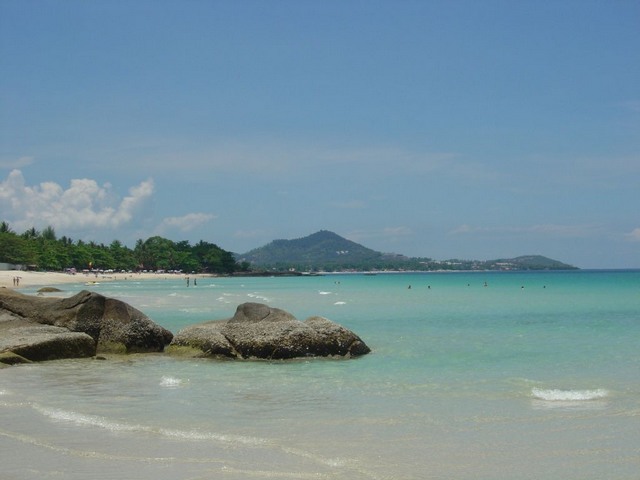 Laem Set beach is in the south east of the island and part of Bang Kao Bay. 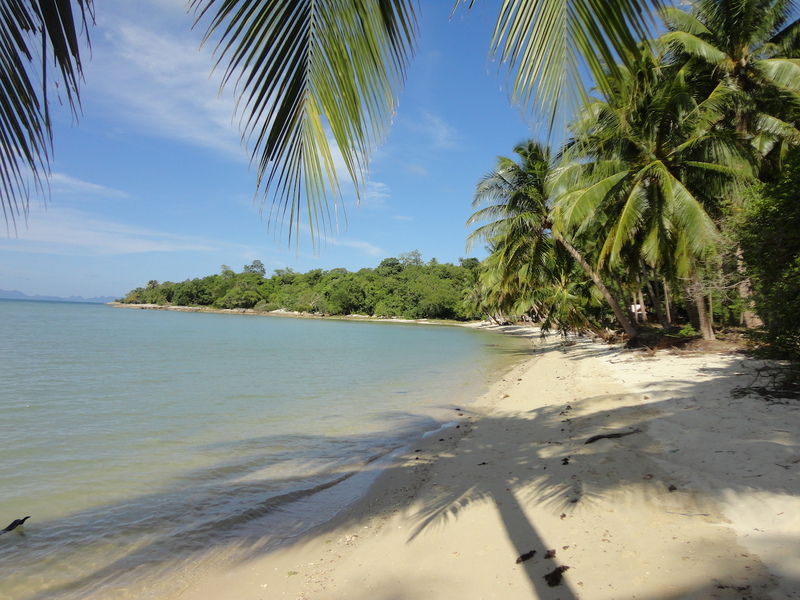 It is probably the furthest beach you will find off the beaten track off at about 3km away from the main ring road of Koh Samui meandering through banana and coconut plantations and buffalo camps to get there. The beach is totally unspoiled and natural with the best area with large boulders separating small sandy coves at the west end providing older kiddies with a water playground. Most of this area however was snapped up early by the world renowned Kamalaya well-being centre, needing a picturesque and peaceful location. The rest of the beach is sandy and boulder strewn and the majority of the time is deserted. There is a very low tide and the sea retreats 100's of meters out in the summer months where kite surfers and other activities on the sand and in the shallow waters take over. Laem Sor beach on the south coast is now becoming the latest hot spot for a luxury beachfront villa holiday. Many multi bedroom luxury villas have been built here in recent years and line the unspoiled natural beach. The beach itself has a stretch of sand but the sea is rocky and not suitable for swimming. A small village borders the beach and a channel has been built for the long tail fishing boats to moor closer to the shore at low tide. The main attraction of this very quiet beach is the breathtaking views of the neighbouring islands and the Laem Sor Chedi perched at the waters edge at one end of the bay. Lamai beach in the south east of Koh Samui is just as beautiful as Chaweng beach with fine sand and clear waters bordered by rounded boulders. It stretches for 3km and is the second most popular beach with some development lined with hotels, resorts restaurants and a couple of "beach clubs" too. There are ample sun loungers to choose from of where to spend your day as well as shady tree areas. The beach is a great for the long walks and jogging but swimming is best in the centre or towards the south end as at the north end the water tends to be dirty with a creek and a fishing fleet mooring. There are small waves but not big enough for surfing and paddle boarding and jetskis are the popular watersports available. The award winning Maenam beach is the longest beach on the north coast and book-ended with a fast catamaran ferryport in the west and the high end luxury W Hotel at the east end. Previously a backpackers hangout you may still find a few resorts remaining, this all year round swimming beach has wide stretches of sand and great for long walks and jogging. Watersports are available here including Stand Up Paddleboards and jet skis and the luxury beachfront villas offer complimentary kayak use. 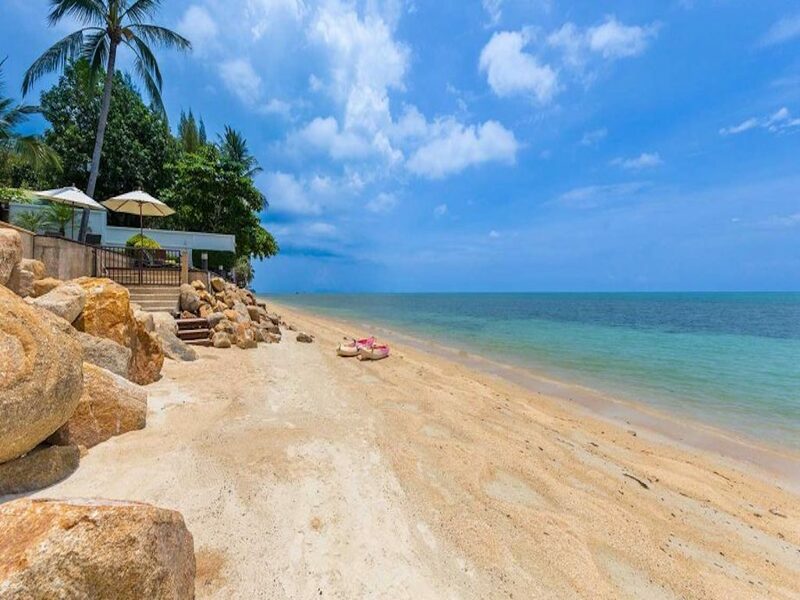 The beach can be accessed through the small resorts or at the village coastal village and has a good balance of peacefulness being a good distance from the main road and convenience being in striking distance of the Koh Samui hotspots. 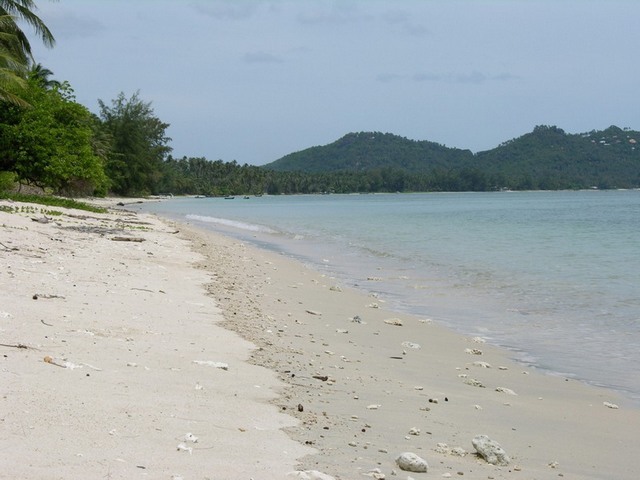 Now bordered by Koh samui luxury villas and small hotels - this 7km beach is is a great place to stay. 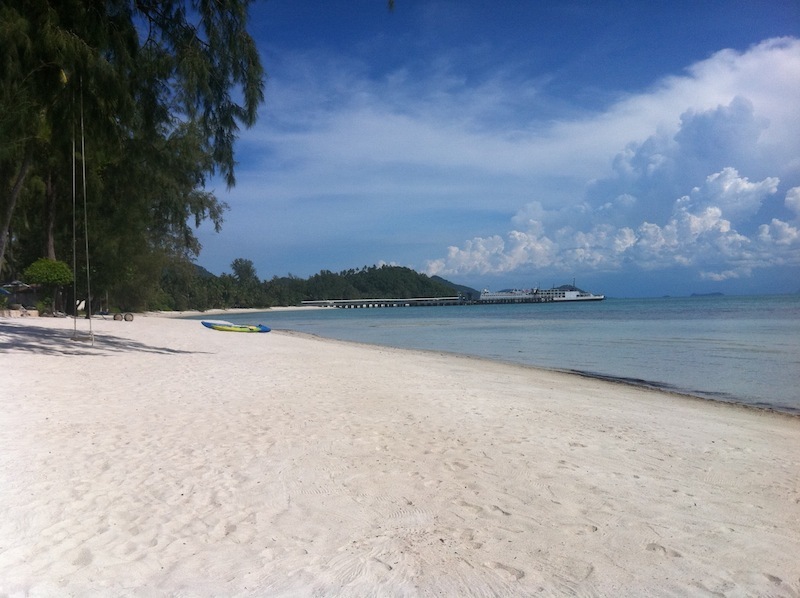 Nathon beach is not a beach you would consider putting on your list to visit on your Koh Samui holiday - unless at certain time of the year (May - October) you were looking to do some kite surfing where there is a vast expanse of sand and has perfect conditions. This activity would be to the south of the main town and ferryport of Nathon whereas the rest of the coastline that borders the commercial area is where the fishermen moor their long tail fishing boats bringing in their catch. Natien beach stretches from the coast at Hua Thanon to the west and the headland separating it from Laem Set beach to the east. As it is protected by a coral reef the water is very shallow and swimming for most of the year is not possible. The beach similar to Laem Set is a large deep expanse of sand ideal for kite surfing and beach games such as volleyball. A beach club as part of a villa resort offers these facilities to all visitors. Access to the beach is best through one of the resorts. Considering that Plai Laem beach is located in the most populated area of Koh Samui, the sandy beach is amazingly quiet. 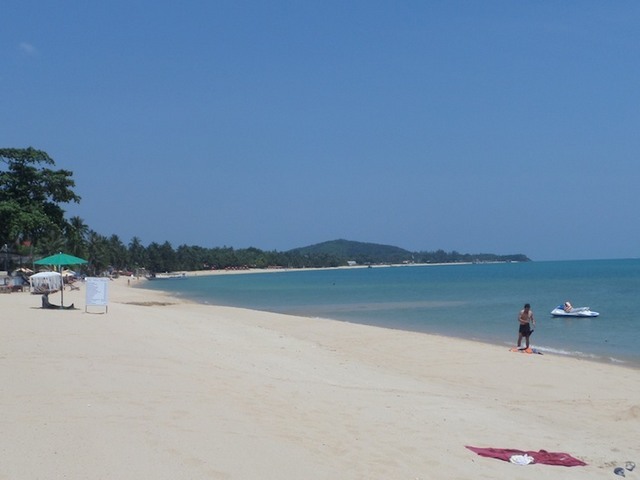 Plai Laem forms the north east peninsular of Koh Samui with the longest stretch of the beach to the west. A fishing boat marina occupies the south end and an exclusive hotel resort takes up the headland on the northern tip. This west side of the Plai Laem peninsular offers some of the best sunset views on Koh Samui. It is a good place to find yourself if you are looking for peace and quiet and amazing scenery. Samrong Bay over on the east side shares the beach with the exclusive hotel There are a number of luxury holiday villas located both on the beach and on the slopes overlooking the bays on both sides. 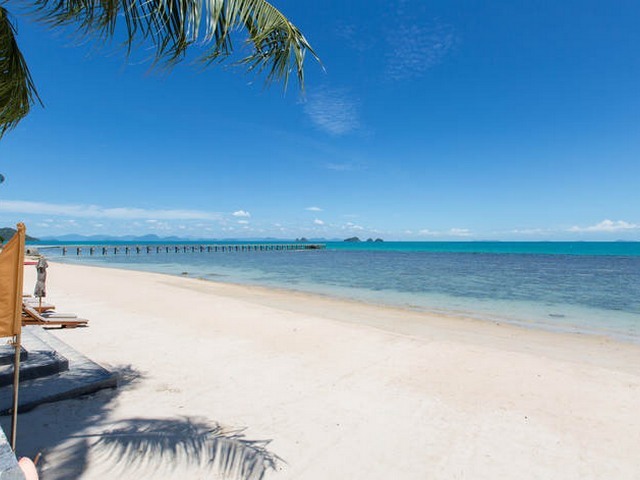 Taling Ngam beach is on the exclusive south west coast of Koh Samui and has a long narrow stretch of sand dominated by the 5 star Intercontinental Hotel at the south. Known also as the Virgin Coast due to it's lack of development there are large parts of the beach to the north where it is just palm trees and sand and nothing more. As with many beaches in the west and south the water is shallow certain months of the year and swimming is difficult. There is a choice of restaurants and a few small hotels/resorts along the beach as well as further south on the the other side of a headland where there is a small beach area with a wider expanse of sand. This is a place where visitors come to drop off the map for a while and chill out a long way from lively Chaweng a 55 minute drive away. Thongson beach is a small bay located on the east side of the Plai Laem peninsular in the north east and above the larger and popular family beach of Choeng Mon. 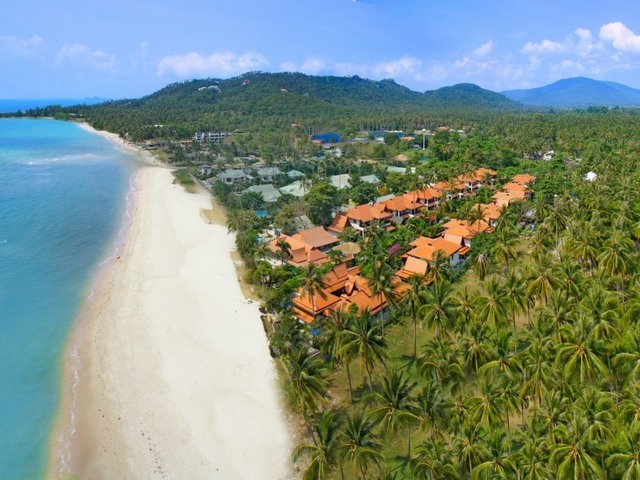 This picturesque beach is very quiet with just a mid range hotel, a few bungalows, a Thai style rustic restaurant and some luxury villas dotted on the hillside above the bay. Access is by a small road that winds down from the main Plai Laem road signposted to the Thongson bungalows and leads to the restaurant. It is definately worth a visit to stay a while, have lunch and enjoy the scenery. The beach is sandy with a mix of small stones and the sea is very shallow and only good for a dip in the centre of the bay as there are boulders at each end of the beach. Kayaks can be hired here to explore the coastline. Tong Yang Bay is part of Lipa Noi beach on the west coast of Koh Samui as it is just separated from the main longer Lipa Noi beach by a headland occupied by the Koh Samui Naval Base. Unlike the main beach there is an offshore reef which restricts swimming in the summer months due to the low tides. The best area for soft sand and swimming is in the centre of the bay and is also home to where some of our finest Koh Samui holiday villas are located. The sunsets and the stunning back drop of the Five Islands has made the villas and the beach popular for destination wedding ceremonies. 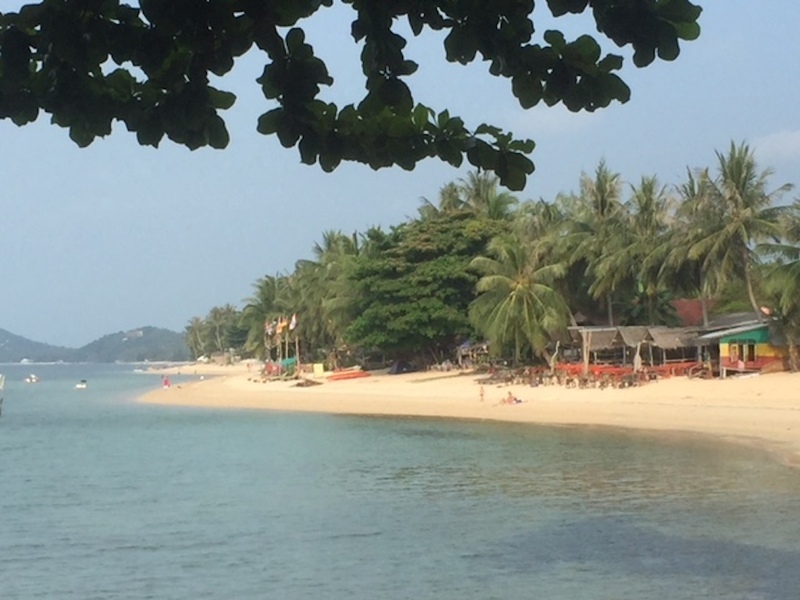 The beach can be found just 5 minutes drive from Nathon town and is long enough to walk along however both ends of the beach are not as tidy as the centre with mostly being used by fishermen and local Thai residents.